James Comey delivered a personal assessment of Donald Trump's character in an interview with BBC Newsnight. He said the President has a "corrosive" and "staining" effect on those around him. Comey concluded: "I don't dislike him, I actually feel sorry for him as a person." It is latest of many verbal blows the US President and former FBI Director have launched at each other. James Comey has said that he doesn't dislike Donald Trump, but pities him instead. Comey went on to say that Trump had a "corrosive" and "staining" effect on his employees, and the nation as a whole. "I think the way in which he acts, especially his corrosive effect on norms — truth-telling being the most important of them — has that staining effect on institutions and people who are close to them. "He has a habit of — and even who support him would agree with this, I think — of telling lies, sometimes big, sometimes casual, and insisting that the people around him repeat them and believe him. "And that stains any human." 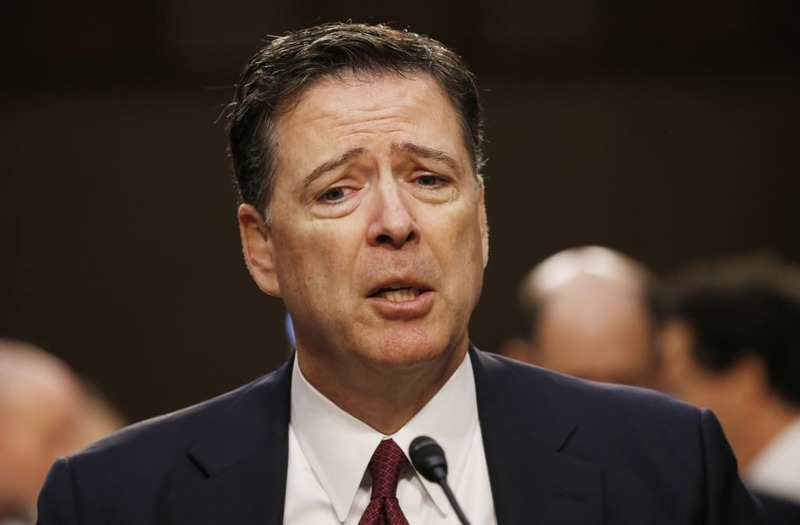 Comey's jab at Trump on Newsnight is the latest of many verbal blows the U.S. president and ex-FBI director have exchanged since Trump fired Comey last May. Immediately after Comey's dismissal, Trump called Comey a "showboat" and a "grand-stander." Last week, following the publishing of excerpts from Comey's memoirs, the president called the ex-FBI director a "slimeball," "slippery," and "a man who always ends up badly and out of whack (he is not smart!)." Last week Comey compared Trump to a mob boss, and described the President as "morally unfit" for his office. The BBC interview came as news organizations leaked 15 pages of memos Comey wrote as FBI Director, which included private conversations with Trump and interactions that Comey found questionable. Watch BBC Newsnight's entire interview here.